Three U-M Medical School faculty members have been appointed to leadership positions. Their new roles, approved Thursday by the board of regents, are effective April 1. Mark E.P. Prince, M.D., has been appointed chair of the Department of Otolaryngology-Head and Neck Surgery; Ella A. Kazerooni, M.D., interim chair of the Department of Radiology; and Seetha U. Monrad, M.D., assistant dean for assessment, evaluation and quality improvement. Prince has served as interim chair since July 2016. He has more than 20 years of high-level administrative experience, including director of the Otolaryngology-Head and Neck Surgery Residency Program for 15 years, and chief of the Division of Head and Neck Oncology for the past decade. 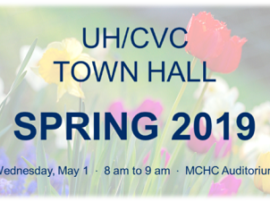 He also has served the department as associate chair for education since 2014 and the medical school as assistant dean for graduate medical education (GME) since 2015. 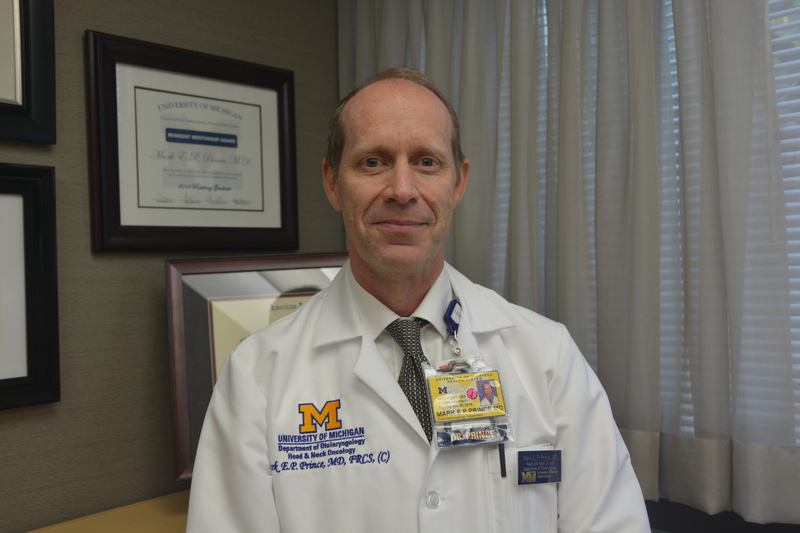 In this role, he provides leadership for Michigan Medicine’s GME programs and oversees the internal review process for residencies and fellowships. He joined the medical school faculty in 1996 as a lecturer in the Department of Otolaryngology-Head and Neck Surgery and completed a fellowship in head and neck oncology. He left briefly in 1998, but returned in 2000 as an assistant professor, was promoted to associate professor in 2008 and full professor in 2014. He has received numerous teaching awards, including the Frank Ritter Award for the Best Teacher in 2003, 2007 and 2010, the Token of Appreciation from Medical Students Award in 2011, and the Otolaryngology Mentor of the Year Award in 2012 and 2014. He is an active head and neck surgeon with a background in clinical, translational and bench research. In 2007, he led a team of scientists from the Rogel Cancer Center and Stanford University in the first report of the identification of cancer stem cells in head and neck cancer. He and his collaborators are investigating how to stimulate a patient’s immune system to destroy these cancer stem cells in head and neck cancer. Kazerooni replaces N. Reed Dunnick, M.D., who stepped down as chair of the Department of Radiology after 26 years. Kazerooni is a professor of radiology and internal medicine, associate chair for clinical affairs, director of cardiothoracic radiology, and chair of the Radiology Service Excellence Program. She received her medical degree from U-M and completed her diagnostic radiology residency here before embarking on a fellowship at Massachusetts General Hospital/Harvard Medical School. She joined the U-M faculty in 1992. She is an elected fellow of the American College of Radiology, and an elected member of both the Fleischner Society and the Society of Computed Tomography and Magnetic Resonance. 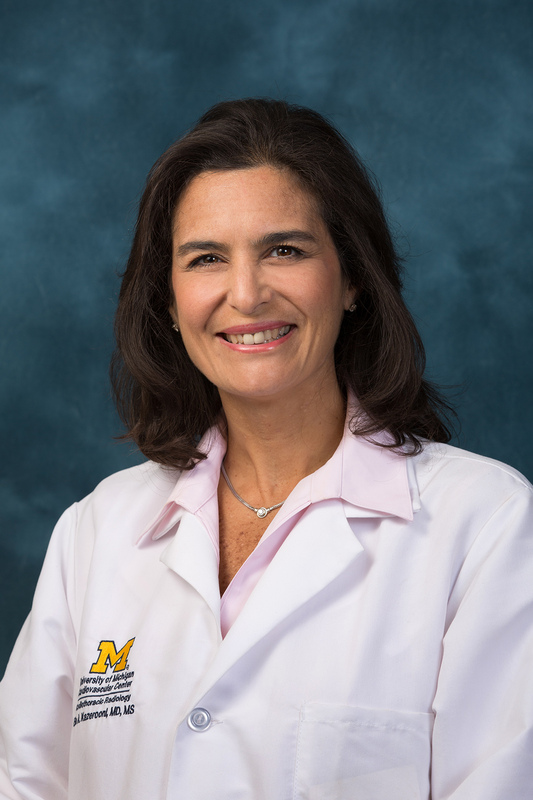 She received the Madame Curie Award from the American Association of Women Radiologists, the Early Distinguished Career award from the U-M Medical Center Alumni Society, and the Gold Medal of the Association of University Radiologists. She has served many roles in organized radiology, including president of the American Roentgen Ray Society, the Society of Thoracic Radiology, the Association of University Radiologists, and the Radiology Alliance for Health Services Research in Radiology. As founding chair of Radiology’s Service Excellence Committee, she has been responsible for the development and implementation of a department-wide service excellence program. 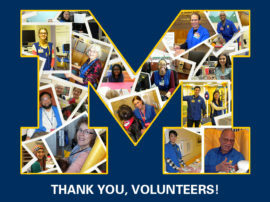 Radiology’s patient satisfaction surveys scores have increased across all modalities and service locations, with the department receiving some of the highest scores at Michigan Medicine. Monrad, an associate professor of internal medicine and learning health sciences, will work in the areas of program evaluation, educational assessment, and quality improvement for medical education in the Office of Medical Student Education. She will work closely with the associate dean in the Office of Medical Student Education to prioritize evaluation and assessment initiatives. In addition, she will oversee curriculum analysis and outcomes data to foster opportunities for quality improvement. She received her M.D. from Washington University in St. Louis in 1997. After an internal medicine residency at Barnes-Jewish Hospital in St. Louis, she was appointed instructor of internal medicine at Rush Medical College in Chicago. 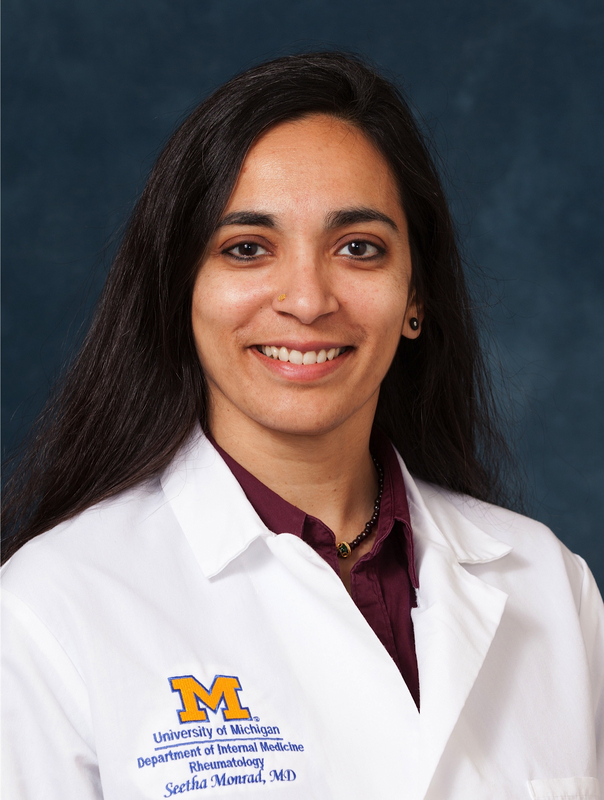 From 2001-03, she completed a rheumatology fellowship at U-M and subsequently joined the faculty in 2003 as a clinical lecturer in the Department of Internal Medicine. She rose through the ranks to clinical associate professor of internal medicine in 2017, and received an additional appointment in the Department of Learning Health Sciences in 2016. Her research focus is on medical education, with an emphasis on medical student education and curriculum transformation. She has directed a number of pre-clinical medical school courses and currently serves as director of the first two years of the medical student curriculum (the Trunk) and of the immunopathology sequence. Additionally, she serves on the Clinical Competency Committee. She was the 2014 recipient of the Kaiser Permanente Award for Excellence in Teaching and, in 2015, was inducted into the Medical School’s League of Educational Excellence.